Home Event Networking Happy Hour | London Be the first to comment. Our team is growing, and we’d like to meet other talented Dynamics 365 enthusiasts at our networking happy hour in London! Join us for a casual meet and greet networking event to get to know our team and learn what sets PowerObjects, An HCL Technologies Company apart. Stay for a little, or stay for awhile; drinks and appetizers are on us! Whether you’re looking for a new path or your just looking to spend a few hours with some of our rock star team, we hope to see you there! 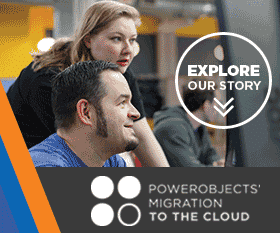 Subscribe to PowerObjects’ Insider. All the cool people do this to stay in touch with the latest and greatest in Dynamics 365. We won’t spam you either – we’ll send you one monthly newsletter about what’s new in Dynamics 365, as well as “stuff” (that’s the technical term) related to PowerObjects’ culture and careers.